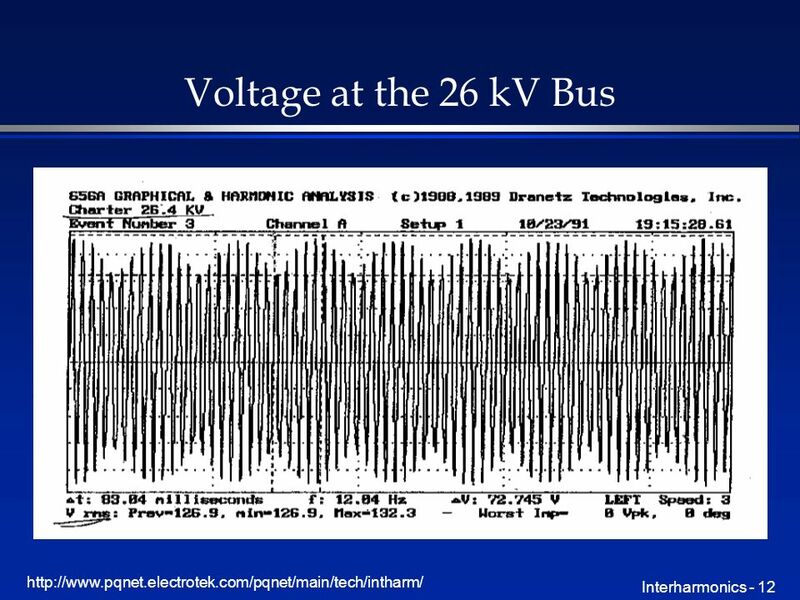 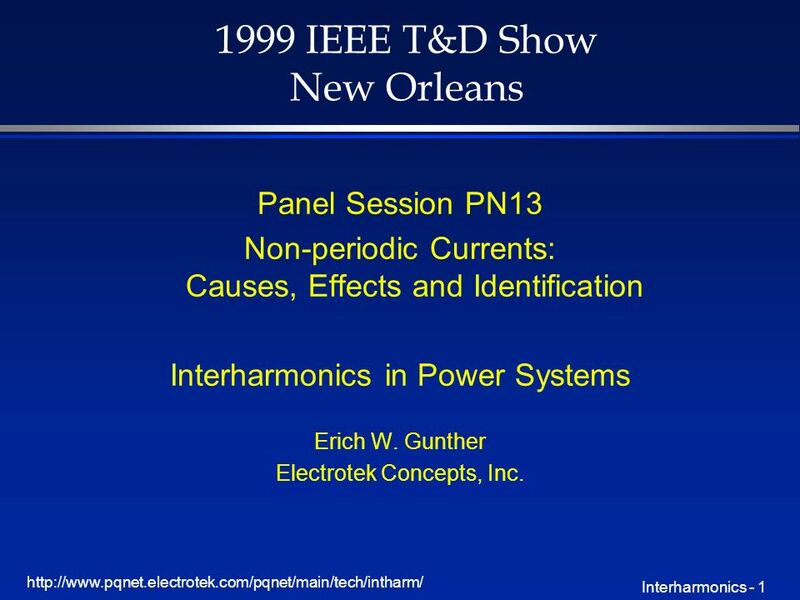 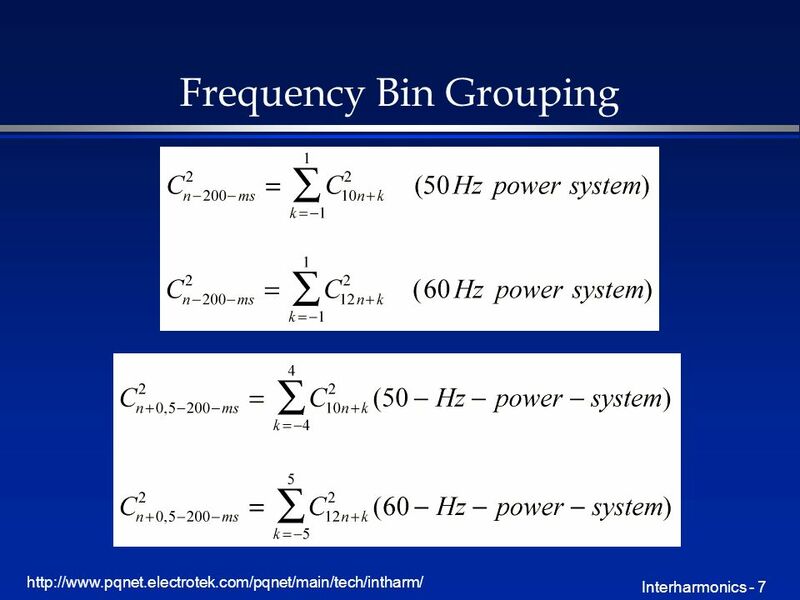 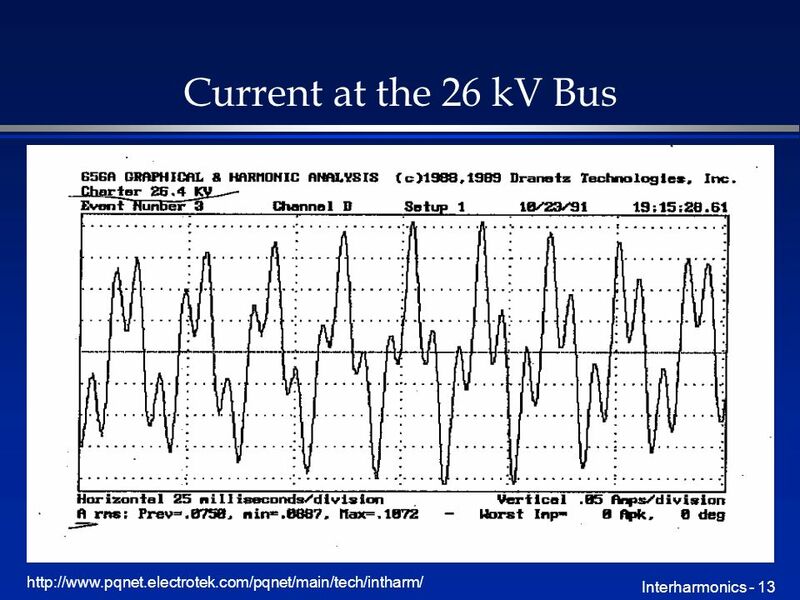 1 http://www.pqnet.electrotek.com/pqnet/main/tech/intharm/ Interharmonics - 1 1999 IEEE T&D Show New Orleans Panel Session PN13 Non-periodic Currents: Causes, Effects and Identification Interharmonics in Power Systems Erich W. Gunther Electrotek Concepts, Inc.
5 http://www.pqnet.electrotek.com/pqnet/main/tech/intharm/ Interharmonics - 5 IEC Harmonic / Interharmonic Measurement Standard: IEC 61000-4-7 n Number of cycles to sample chosen to provide 5 Hz frequency bins 10 Cycles for 50 Hz Systems 12 Cycles for 60 Hz Systems n Grouping concept Harmonic factors calculated as the square root of the sum of the squares of the harmonic bin and two adjacent bins. 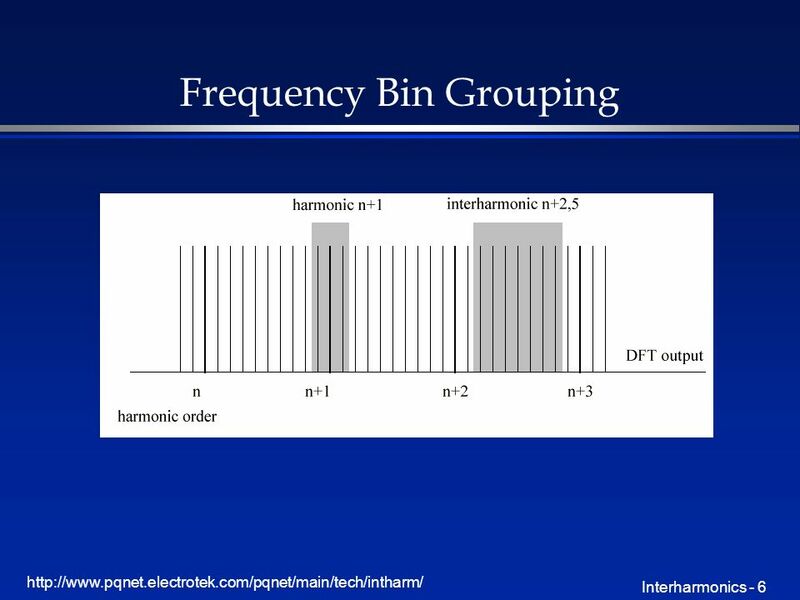 Interharmonic factors calculated as the square root of the sum of the squares of the bins in between the harmonic bins (not including the bins directly adjacent to the harmonic bin). 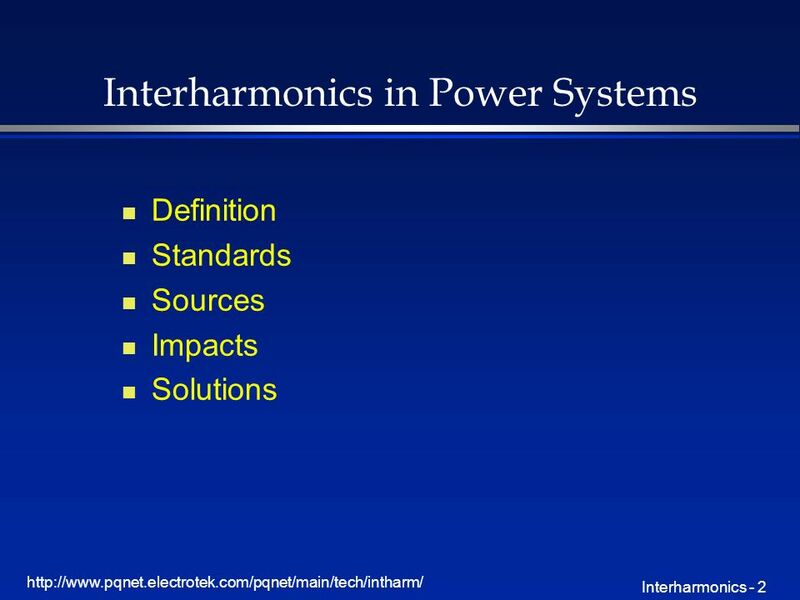 17 http://www.pqnet.electrotek.com/pqnet/main/tech/intharm/ Interharmonics - 17 Solutions n Fix control problems to reduce level of interharmonic generation. 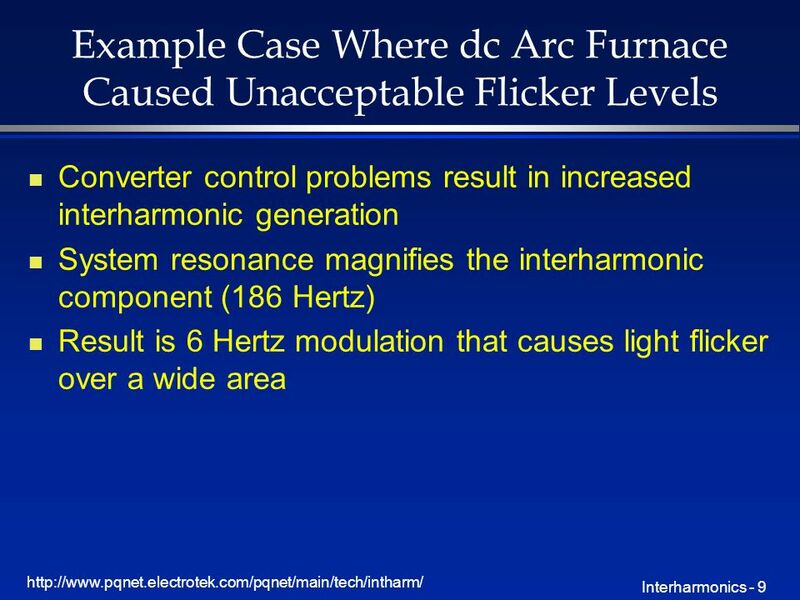 n Non-characteristic harmonics and interharmonics must be considered in the filter design for dc arc furnaces and other interharmonic producing loads. 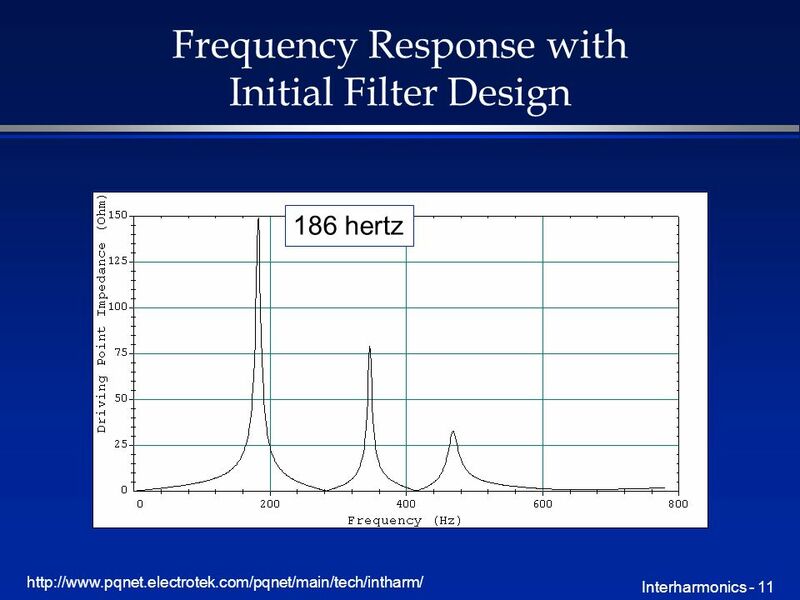 n Resonances created by the filters in parallel with the system inductance can magnify interharmonic components causing high distortion and flicker. 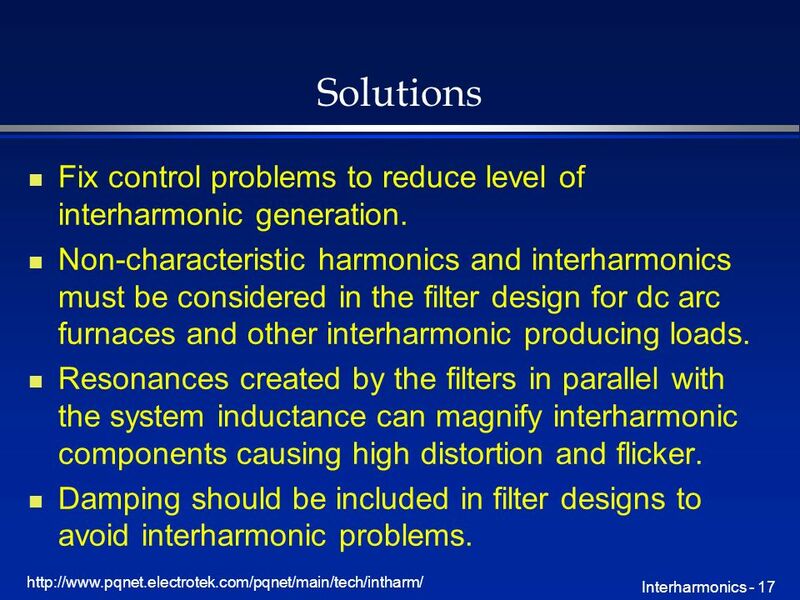 n Damping should be included in filter designs to avoid interharmonic problems. 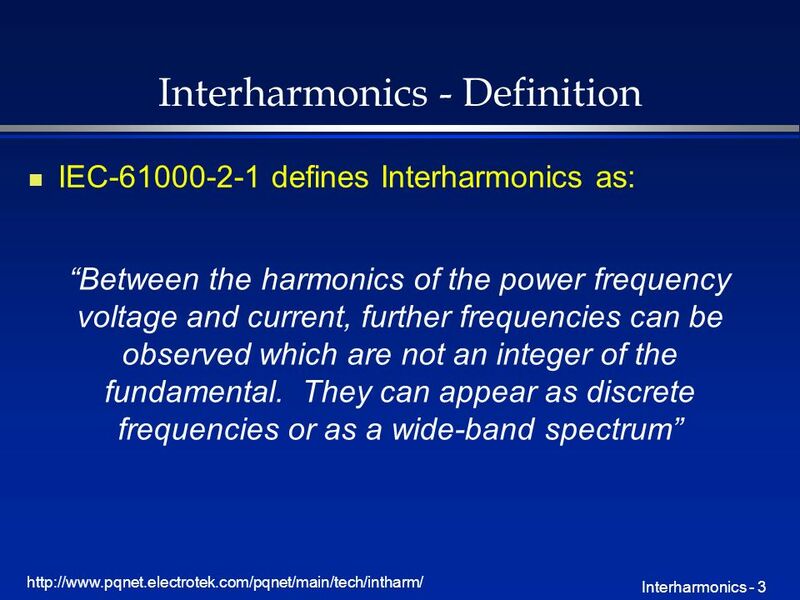 18 http://www.pqnet.electrotek.com/pqnet/main/tech/intharm/ Interharmonics - 18 Conclusions n Interharmonics have always been around, they are just becoming more important and visible. 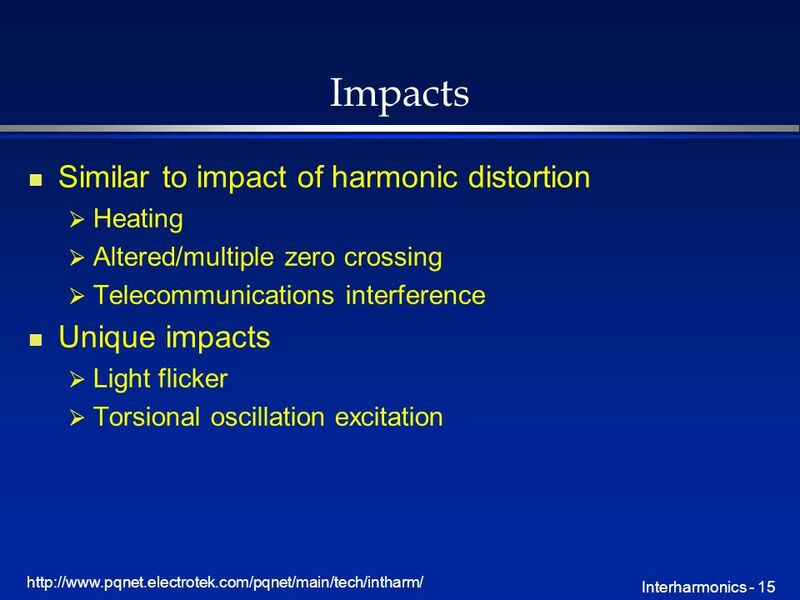 n Power electronic advances are resulting in increasing levels of interharmonic distortion. 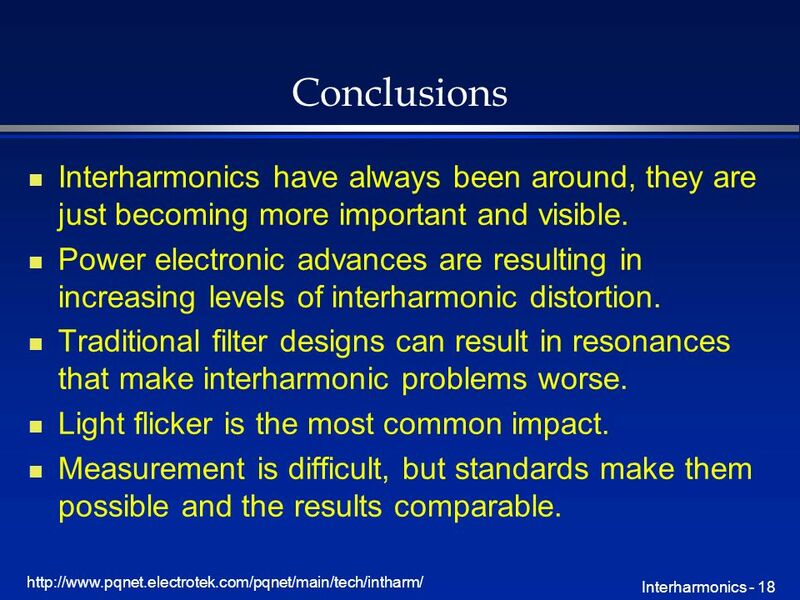 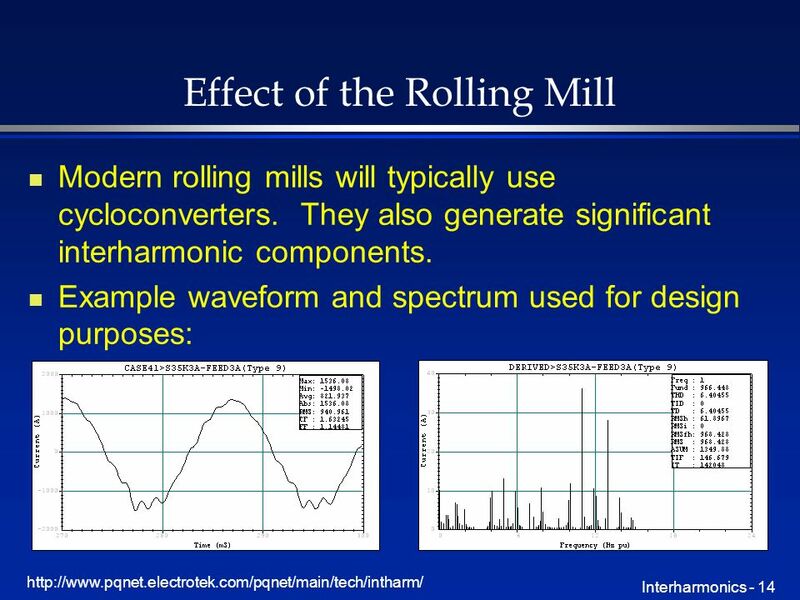 n Traditional filter designs can result in resonances that make interharmonic problems worse. 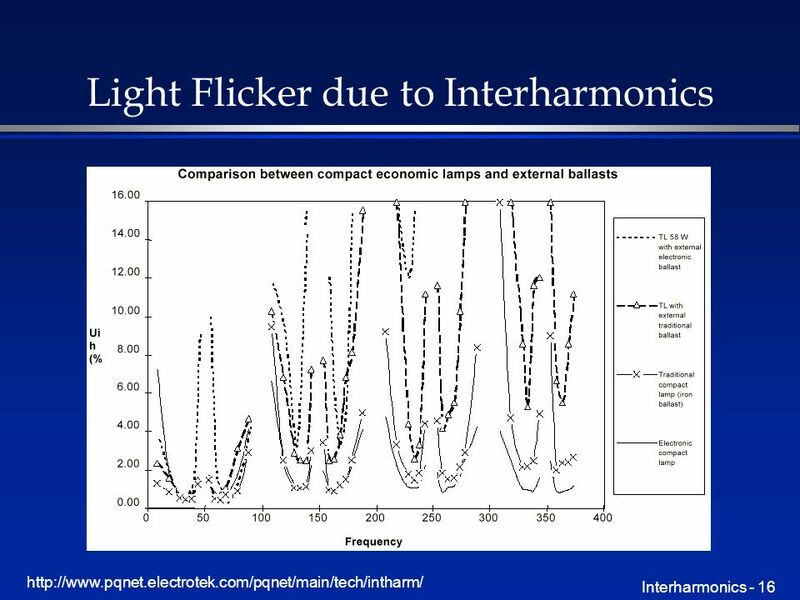 n Light flicker is the most common impact. 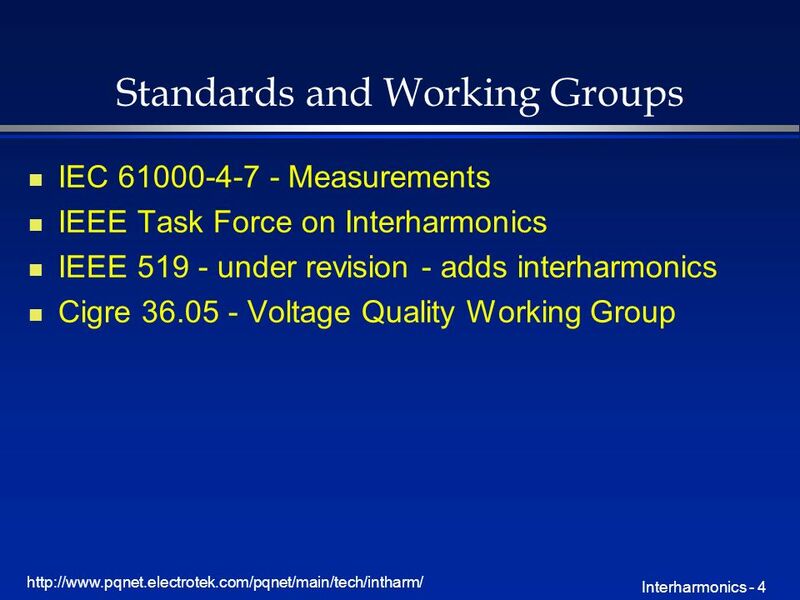 n Measurement is difficult, but standards make them possible and the results comparable. 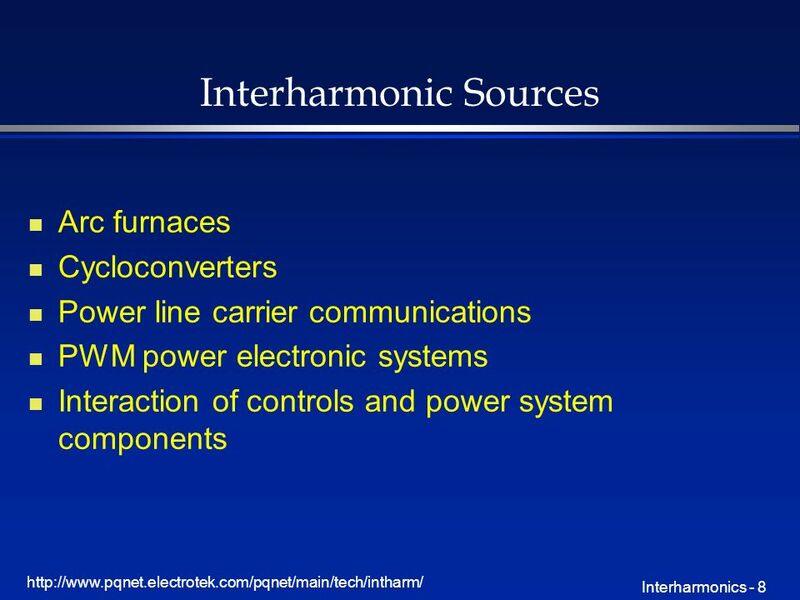 Download ppt "Interharmonics - 1 1999 IEEE T&D Show New Orleans Panel Session PN13 Non-periodic Currents: Causes,"
Interharmonic Levels at a DC Arc Furnace Installation Erich W. Gunther Electrotek Concepts, Inc. 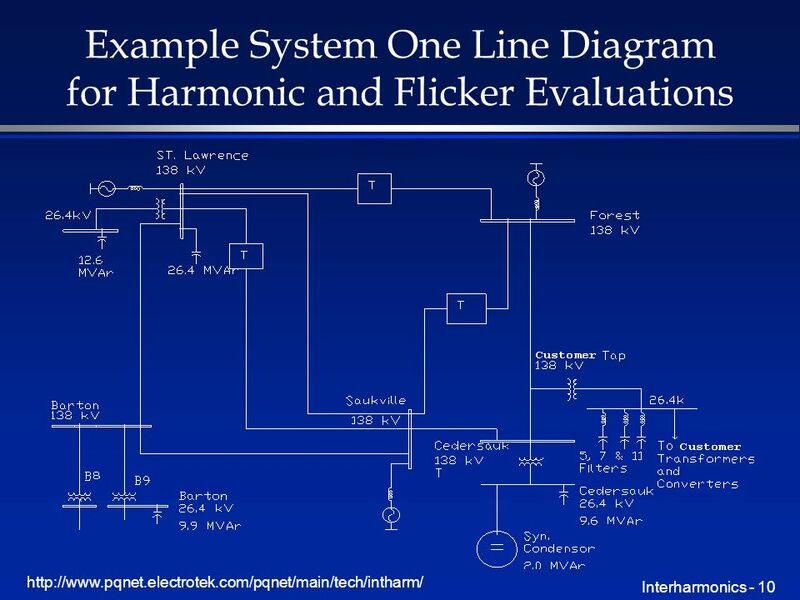 FIGURE 3.1 System for illustrating Boolean applications to control. 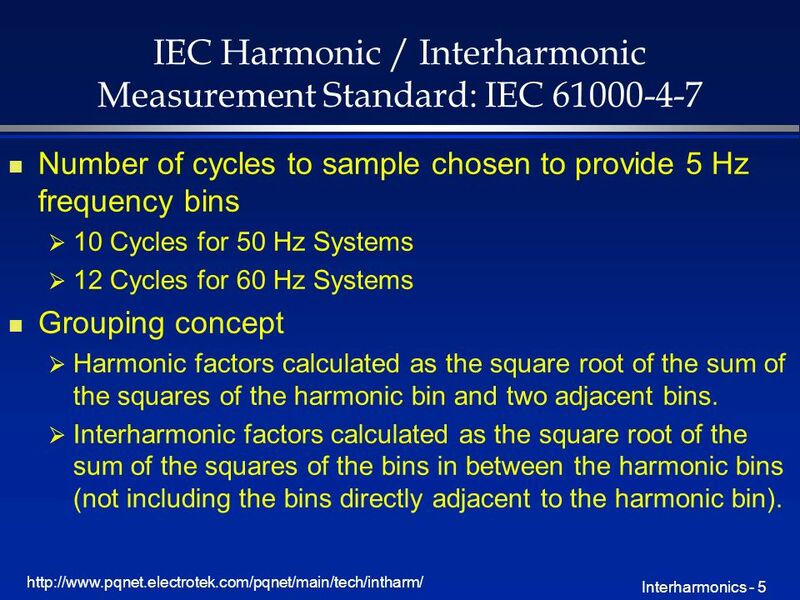 ISSBN, Electronic faculty of Niš, November 2010 1 Use of distortion power for side identification of the harmonic polution Dejan Stevanović, Electronic.